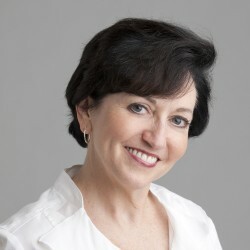 Lori L. Jacobwith is a nationally-recognized master storyteller and culture change expert with a passion for the positive. With more than 25 years’ experience, her strategies and coaching have helped nonprofit organizations raise $250 million dollars from individual donors. And counting. Lori has been recognized as one of the top 40 most effective fundraising consultants in the U.S. Grounded in her experience as both a former nonprofit executive director and development director, Lori has honed her vast expertise into actionable, creative and successful tools to teach staff and board members to powerfully share people and money stories to ignite action and raise more money. Her one-of-a-kind approach is used by thousands of people across North America. In addition to her must-read blog, Lori is also the author of Nine Steps to a Successful Fundraising Campaign and the co-author of The Essential Fundraising Handbook for Small Nonprofits. In response to overwhelming demand for innovative tools, Lori created the Imagine What’s Possible Step-by-Step Storytelling System to help catapult nonprofits to unbelievable levels of fundraising effectiveness. In addition to her passion for fundraising, Lori has attended her native Minnesota State Fair---a favorite summer activity---for more than 50 consecutive years.